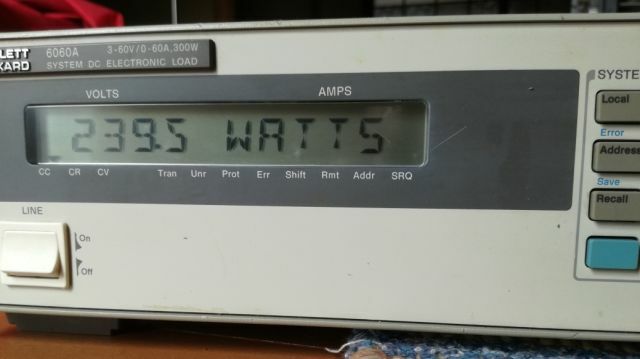 This is a 300 Watts, 60 Volts, 60 Amp electronic load, a quite handy device to have, especially, a HP/Agilent brand item. 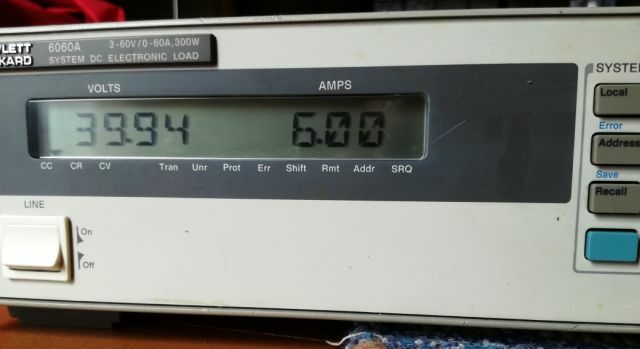 There are many cheap electronic loads, but I would rather recommend to get a good instrument, if you want to put some power supplies to real tests. Otherwise, you load may fail earlier than the supply. 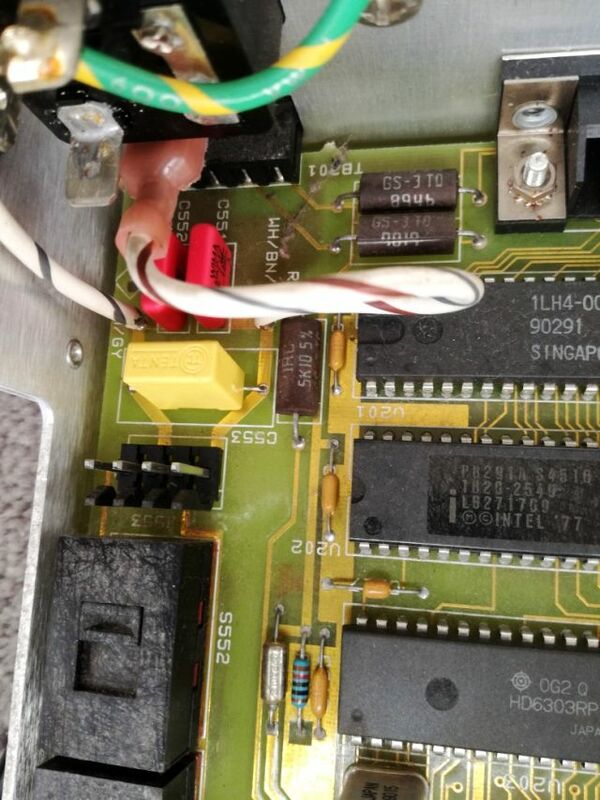 The instrument we are dealing with here, a low cost auction fid – it had a bad front connector. 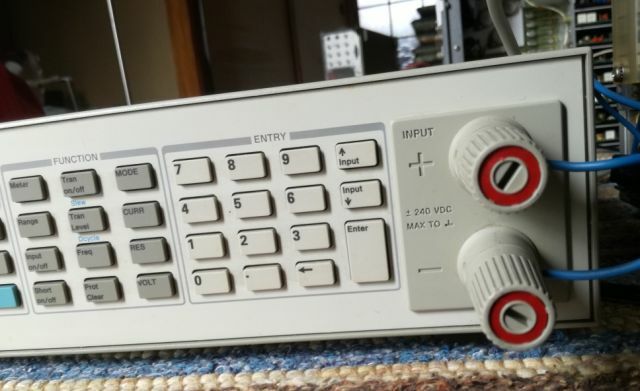 These instrument use HP 60 Amp binding posts, these are quite rare and expensive (about EUR 40 per piece from Keysight), and the plastic gets brittle over time, and with overtightening it can break. The instrument had front and rear connections, I only need one set – so it will be an easy repair by just moving the good binding posts to the front. 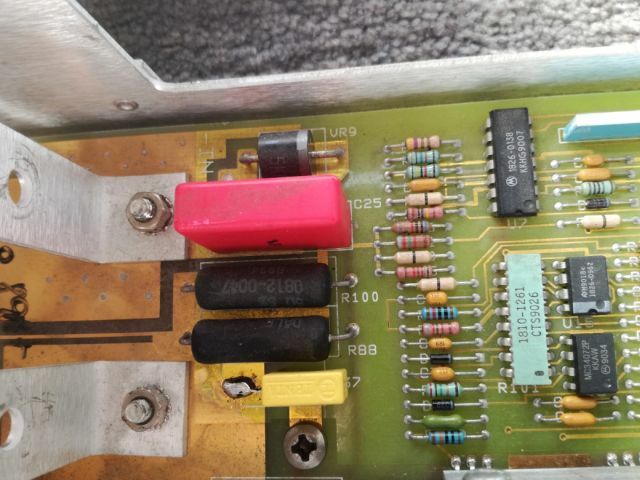 Also, we find that all the X and Y rated capacitors have hair cracks, and are of RIFA brand, so these may fail soon – let’s replace them all. 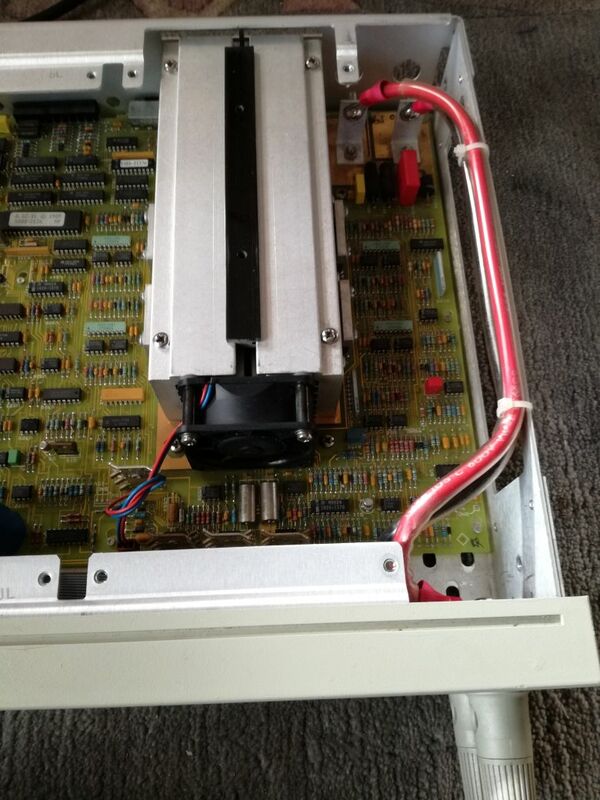 The power is dissipated in several MOSFETs, all mounted to a large heatsink. Essentially, a small 300 Watts room heater, which is great to have these days in cold Japan. The front connectors, after repair (just moved the rear connectors to the front, rear connectors, I don’t need them). New caps soldered in – quite a difficult task because some vias are part of large copper fills, without thermal relieve, and I don’t want to preheat the whole board. Finally managed to solder-in the X and Y capacitors. A test at 40 Volts, 6 Amps, running for several hours with no issues at all!